The owner of Opprobriations came to us with design images he’d created himself, and asked us to help him turn them into a fully functional web store. We worked with him step by step to build a minimalist, zippy site that provides an uncluttered environment for the shirts to live. As the site’s owner, he can keep track of which items he has in stock at all times, and add new products any time he wants. The committee on opprobriations was created to explore the use of modernist design and Absurdism to challenge traditional concepts. The committee on opprobriations seeks out new techniques, plainly describes its approach, and then shares the results of its work. It is left to the individual to interpret what those results mean. 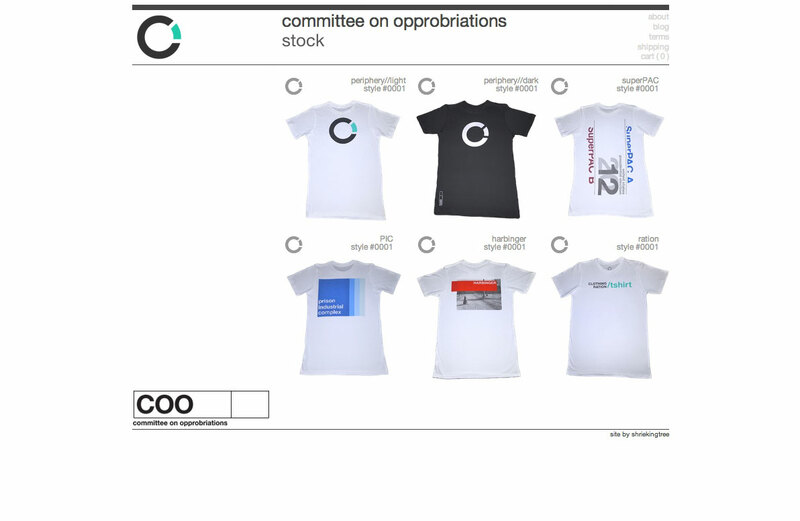 The products designed by the committee on opprobriations use high-quality materials, sourced to ensure both excellence and social responsibility.